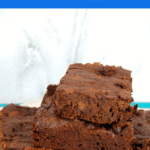 This is the best Chocolate Fudge Brownie recipe from scratch that you will ever need. 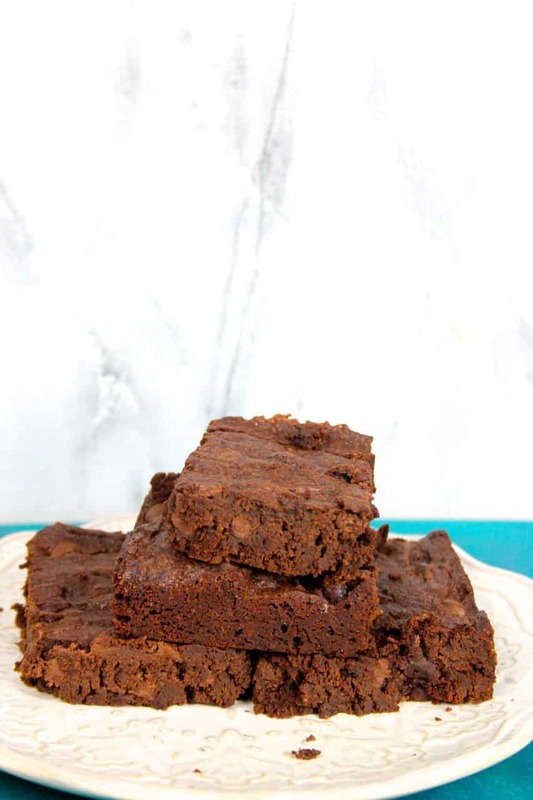 These gooey fudge brownies are rich and decadent and chewy. 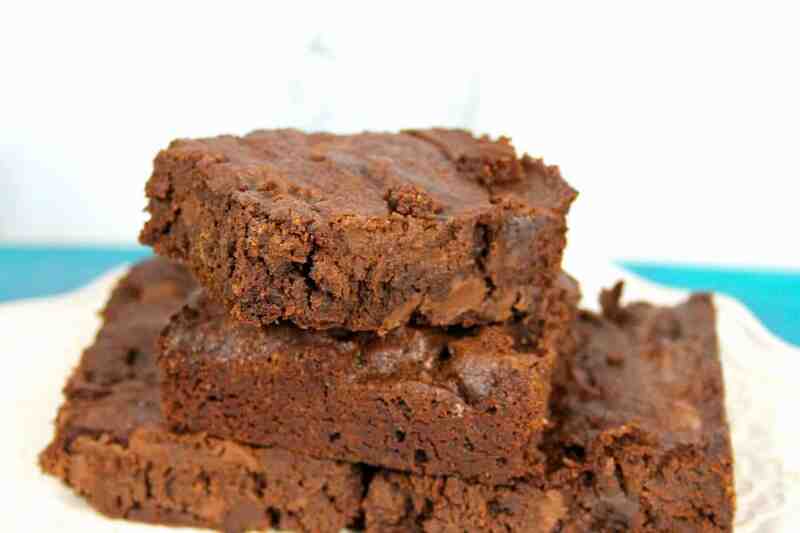 If you are a chocolate lover this is the only brownie recipe you will ever need. My husband loves brownies and he loves them chewy. Some people enjoy their brownies more cake like- this is not a cake like brownie. This is the best chewy chocolate fudge recipe you will ever need. Preheat oven 350. Spray a 13x 9 pan with non-stick spray. In the bowl of an electric mixer beat the eggs, cocoa, vanilla, baking powder and salt until smooth. In a microwave safe bowl melt the butter in the microwave- add sugar to the bowl and stir until smooth and combined. Add the butter and sugar mixture to the egg mixture and combine. Finally add the flour and chips and combine. 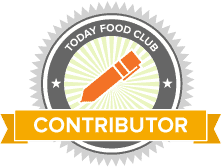 There you have – this recipe really makes the best brownies that you will ever taste. You will be sworn away from the box mixes forever! There is something so comforting about biting into a rich and chocolaty brownie. 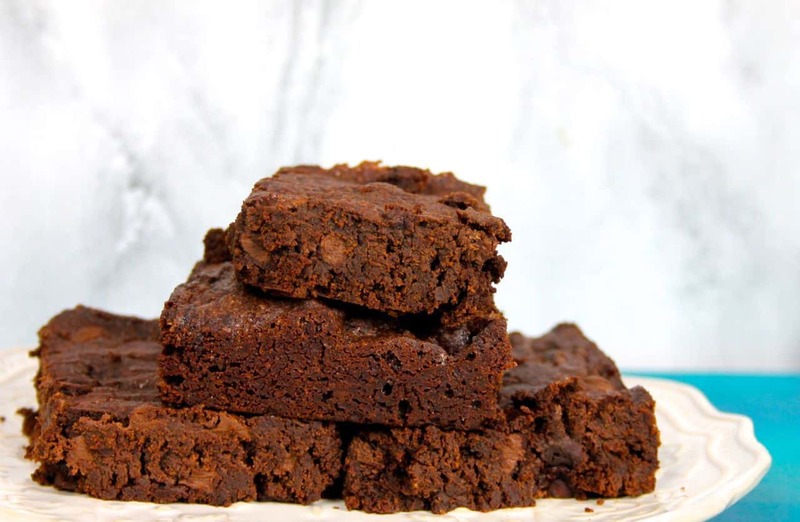 You can top with powdered sugar or add nuts to your recipe if you prefer but we like our chewy fudge brownies just plain.